Substitution mutation in DNA is illustrated using a color-coded ball-and-stick model. 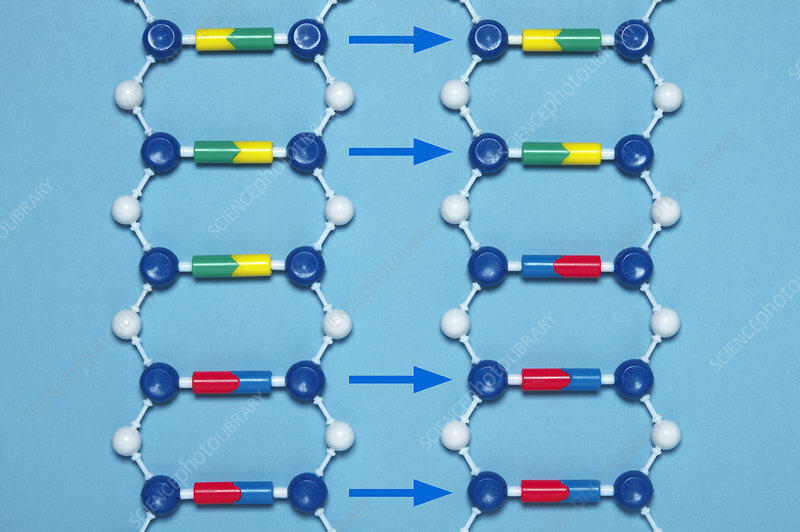 Blue: deoxyribose, white: phosphate group, green: adenine, yellow: thymine, red: cytosine, light blue: guanine. On the left is a fragment of the original DNA sequence. On the right is a fragment of a replica DNA sequence where one base pair got substituted for a different base pair.